Outreach is how scientists connect with non-scientists, including the public, decision makers, environmental managers, the media, and students. Most of my outreach work involves policy makers, and you can find out about that here. My outreach and policy publications are listed here. 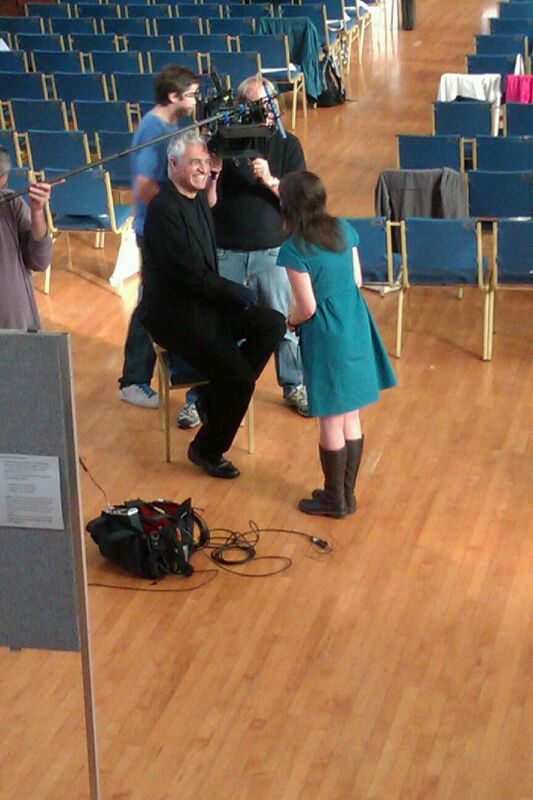 An interview by film director Louie Psihoyos. My students inspire me and I hope to inspire future marine scientists through formal lecturing, project supervision and general outreach. I was the winner of the Seavision UK My Maritime World Competition in 2013 for enthusing and informing the next generation of marine scientists with my two minute video entry ‘From plankton to policy’. I am a council member of the Challenger Society for Marine Science, the voice of the UK marine science community. My involvement with the Challenger Society provides me with the unique opportunity to interact with UK and international marine scientists of all levels, from students to prestigious researchers, across all disciplines. From ‘This is what a scientist looks like’. Scientists are more than just our work, so my Twitter feed, displayed here, contains personal as well as work-related tweets. I think it’s important to show the public that scientists are human, with diverse interests and personalities. My desire to change the way scientists are viewed by non-scientists, and even other scientists, also lead me to participate in the ‘This is what a scientist looks like‘ project, which aims to break down scientific stereotypes. With journalist Frank Pope at Plankton 2011 (photo by Rob Camp).